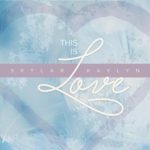 “This is Love” is Skylar’s third independent CD. Before the album even released I was impressed with her drive and dedication to her ministry. I was impressed with her grassroots efforts to promote the album and I feel ashamed that I did not respond accordingly. The album released back in October 2016 and I am just now getting around to writing a review. Skylary’s Christ-centered approach is prevalent throughout the CD and while much of it revolves around relationships, there is also a fair amount of trust and devotion to a good God – “My Hope.” It is a message that we can never hear too many times, and if you’re looking for something encouraging and uplifting for either young daughters or your precious wife, this album is an excellent choice. This entry was posted on Tuesday, January 17th, 2017 at 9:37 pm and is filed under CD Reviews . You can follow any responses to this entry through the RSS 2.0 feed. Both comments and pings are currently closed.